Black bear is native to New England. It is an omnivore that is most abundant in the three northern New England states. Most of the orchard damage is to apples, and occurs in the fall. The bears feed on fruit, but also break branches as they feed. Injury is sporadic. 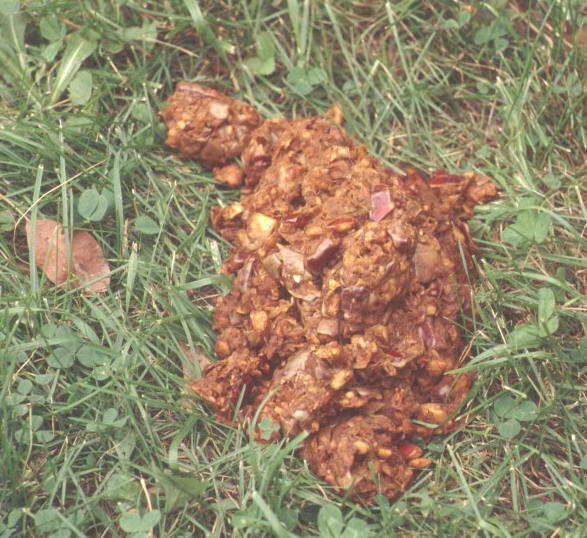 In addition to the fruit damage, signs of bear activity include large piles of droppings that often contain partially digested fruit or seeds. (Bears have digestive systems that don’t completely digest plant material.) The large, flat tracks are also a sign, if there is bare ground to show them. Bears climbing over fences often leave a long, coarse black hair or two as evidence of their passing. Bears do much of their activity at night, but during the fall they are actively fattening up for winter, and do a lot of daytime feeding. Increasingly, many New England bears become habituated to feed around human dwellings (on garbage and bird seed for example) and this pattern may be difficult to break. 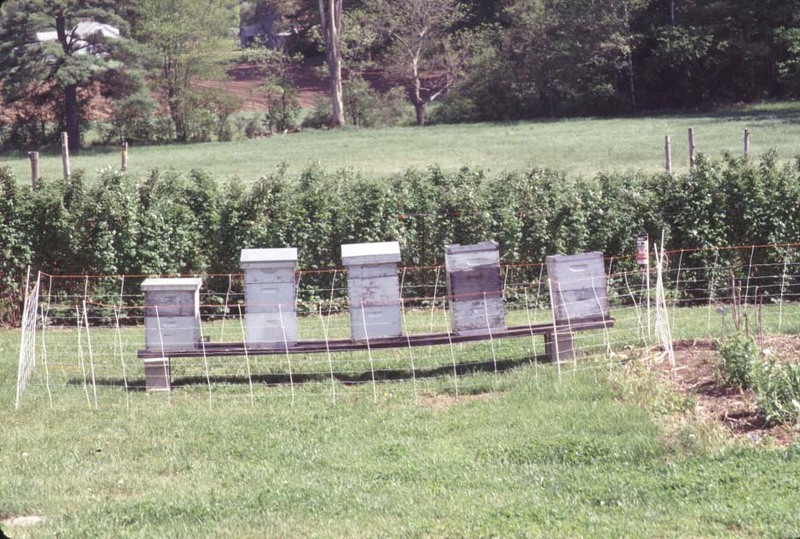 Electric fencing can keep bears out of an orchard, just as it protects bee hives. Other fencing does not work well to prevent their entry. Bacon strips are excellent for baiting electric fences intended for bears. Taste repellants can help, but this isn’t a viable option to protect apples, since people similarly don’t like apples to taste like hot peppers. Loud noises can temporarily scare off a bear, but noisemakers are not an effective strategy alone. Bears are protected game species, so there are limited or no shooting options for growers who experience damage. Fish & game staff or USDA APHIS Wildlife Services staff may be able to assist if an orchard has repeated bear problems.